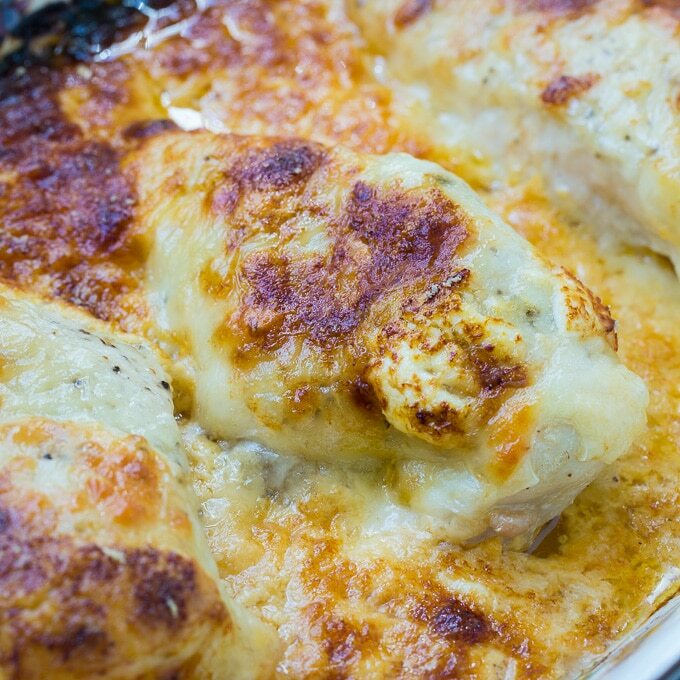 Creamy Baked Swiss Chicken is an easy comfort food meal that the whole family will enjoy. It can be prepped in about 5 minutes and then it just needs about 50 minutes of hands off time in the oven. Serve it over rice with some green beans for a truly delicious dinner. Boneless, skinless chicken breasts are seasoned with salt, pepper, and garlic powder and then placed in a baking dish. Cover them with swiss cheese slices and top the cheese with a mixture of mayonnaise, sour cream, and a little Thousand Island salad dressing. 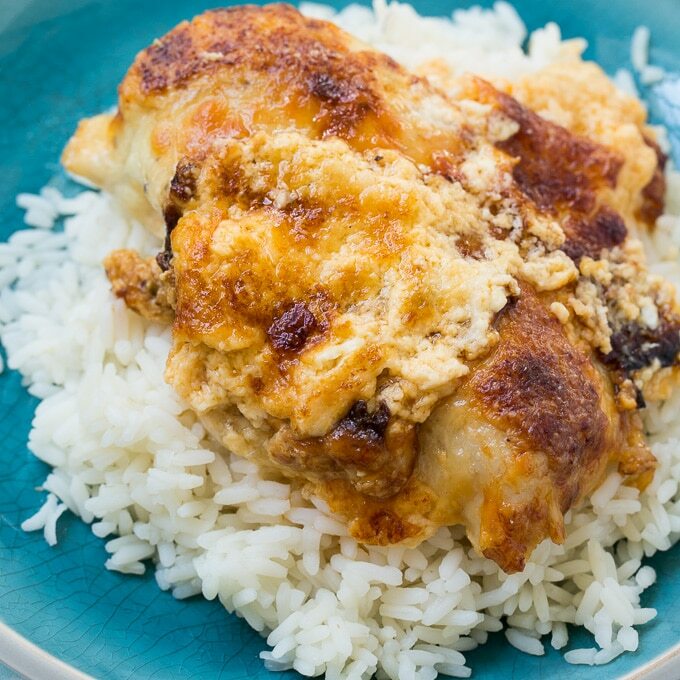 The Thousand Island Dressing gives just a touch of sweetness and if you are a lover of Reuben sandwiches, you will love the combination of Swiss cheese and Thousand Island in this baked chicken recipe. Finally, sprinkle some Parmesan cheese on top and pop it in the oven to bake. The chicken bakes up moist and tender and there’s a creamy, cheesy layer on top that gets wonderfully golden and crispy on the outside. 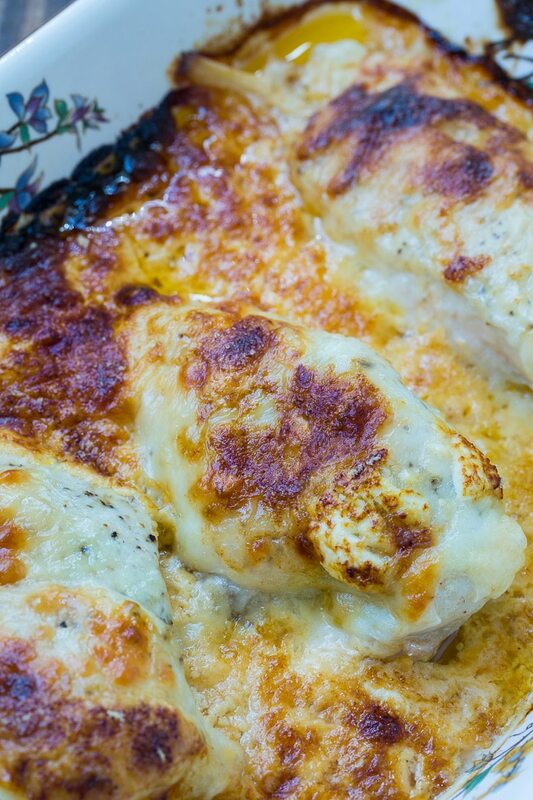 Creamy Baked Swiss Chicken is an easy dinner you’ll want to make again and again. 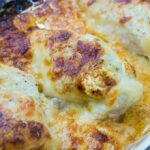 Creamy swiss chicken bake……covered or not? i made this because i had some swiss cheese that needed to be used. Let me tell you. It was DELICIOUS! creamy, and cheesy and the chicken was super tender. Will definately be adding this to my weeknight meal ideas. i used miracle whip and doubled the sauce because i had 8 chicken breats. Looks and sounds delicious. Going to try it today! It looks nice.Pictures are looking great!.Good recipe.